Don't you just love companies that produce solid curriculum choices over and over? The Critical Thinking Company does just that. The TOS Homeschool Crew was pleased to review four different curriculum choices from this company, and you can read more about those HERE. Today, I am taking a look at Mathemathical Reasoning, by Carolyn Anderson. We design critical thinking into ALL of our core curriculum products. This not only helps students transfer critical thinking skills to other areas of their lives, it improves the effectiveness of the lessons. Critical thinking requires deeper analysis of the lesson. Deeper analysis produces deeper understanding, resulting in greater engagement and retention of the lesson. I don't know about you, but I really like the idea that my child might learn how to think critically while also doing her math or language arts! The author, Carolyn Anderson, holds graduate degrees in mathematics and education. "She taught for more than 20 years in the North Kansas City School District and is currently an Associate Professor of Mathematics at Park University. (...) She spent nearly ten years as managing editor of Math Magic, a national math magazine and math-enrichment developer." I thought that last bit was remarkable and would be of interest to homeschool moms that are less inclined towards textbooks. This is not your normal 5th grade math book! Printed in muted colors, this 8.5"x11" softcover has 413 actual pages for your student. The answer key is in the back of the book and is easily removed. This is an all-in-one resource with no extra teacher book needed. The list price is $42.99, but is currently on sale for $37.99. Mathematical Reasoning is intended to be used with your child; not handed to them with page numbers marked off for them. (Something I am all too guilty of doing with math!) These activities are meant to be done together to foster real understanding. The Critical Thinking Company doesn't just want your children to walk away with math knowledge, they want to help your child think critically about what they have learned. If these are goals you have for your child then I highly recommend you investigate The Critical Thinking Company's website. There is something for every family and every homeschool to be found there. I had to use this as my letter "I" in Blogging Through the Alphabet. In the box on the right, we have heirloom bush beans planted and the box in the middle has two rows each of turnip, beet, and radish seeds. The black tubs next to the chicken pen have zucchini and crook neck and there is rosemary there and my son's snap pea plant he grew as an experiment. These beds did such a good job last year with beans and the root veggies that we did them again with the same things. I planted some more arugula seeds today because the chickens got into this bed and scratched it all together when I planted so the cilantro and arugula is growing together. It is growing well so I can't complain! I am really looking forward to eating the arugula in a salad and making fresh salsa with the cilantro! This is my herb bed. The back row is sage and tarragon, the middle is oregano and mint, and the front I just planted with sweet basil. I cannot WAIT to eat the basil! Summer is a comin'! The final bed on the right is entirely flowers and is my youngest girl's bed. Peaches! This is the start of our Backyard Orchard. And I just had to share these two. This is our mint--growing wildly throughout the backyard. I love it and use it for fresh mint and black tea. The kids just eat it by the leaf. :) Even today..."Here, Mama, do you want one?" Um....no. I am so glad you like it, but it is fuzzy and wigs me out. I prefer it in tea form! And this is just lovely to me. The colors are so vibrant and the flower so elegant. It is a snap pea flower. Hard to believe that this sort of loveliness is made for us by God just to be fertilized by a bee or butterfly so we can enjoy the snap pea. :) If you click on any of these, they will enlarge. This one is worth doing that for. :) My little artist took this photo. A person or school purchasing this AIMS publication is hereby granted permission to make up to 200 copies of any portion of it (or the files on the accompanying disc), provided these copies will be used for educational purposes and only at one school site. The files on the accompanying disc may not be altered by any means. I think that is pretty amazing--and well worth the $24.95 price tag. 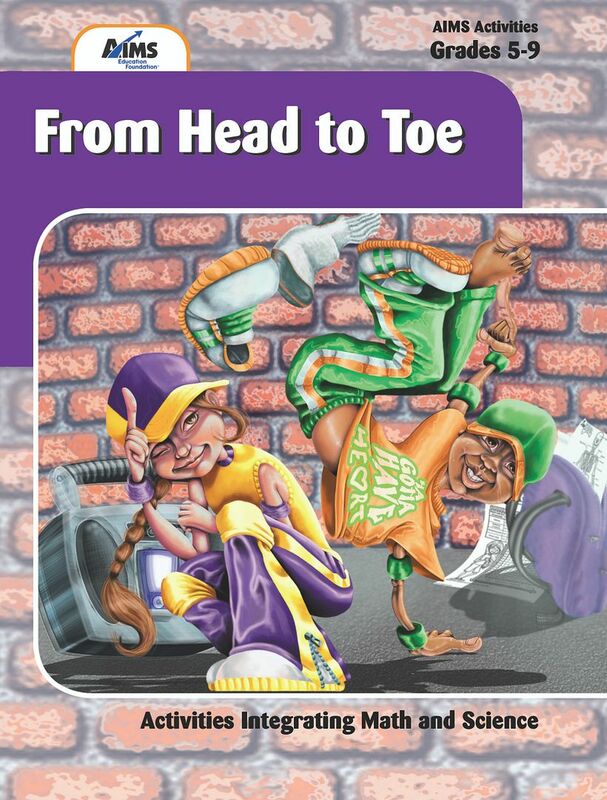 From Head to Toe, for grades 5-9, is as the title suggests, all about the body. It covers the following systems: nervous, circulatory, respiratory, digestive, urinary, and musculoskeletal. In addition, it gives instruction in all the sensory organs: taste, sight, sound, touch, and scent. 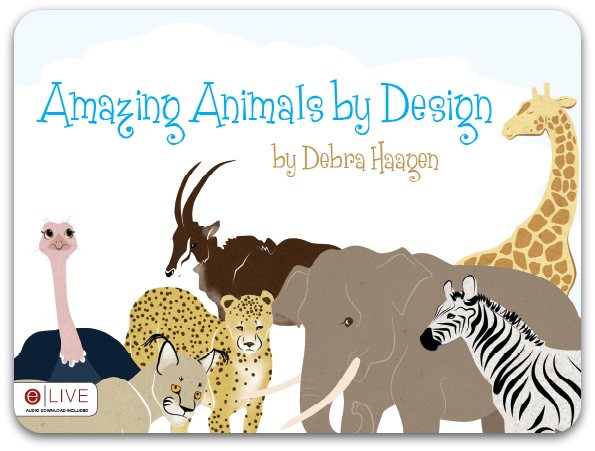 If you like creating mini-books, identifying and coloring diagrams, learning from games, creating small models, doing experiments, and general hands-on type of learning, you will love this curriculum! It is filled with all sorts of activities to make the subject of our bodies come alive. 1. Which of the body parts that we tested did you predict would be most sensitive to touch? Why did you think this? 2. How did the results compare to what you expected? Did everyone have the same results? Throughout the book, they ask good questions that make the student evaluate what they are reading and learning. The book is both a student and teacher book. The black and white student pages, to be truly utilized, should be copied from the CD or the book (it is much easier via the CD!) The sections for the teacher are thorough and will not leave you unprepared or in the dark about your subject. The teacher section has these subsections: Topic, Key Questions, Learning Goals, Guiding Documents (based on standards and benchmarks for education for this subject), What Type of Science, Integrated Processes, Materials, Background Information, Management (which is how to ultilize the printed materials they give you for the hands-on portion for the students), Procedure, Connecting Learning, Extensions (other information pertaining to the subject matter), Internet Connections (links for more on the subject), and Curriculum Correlation. That is a lot of information--and that is only one small section of the book. All this information is there for each topic you cover so you never feel unprepared. Here is a link to sample pages. 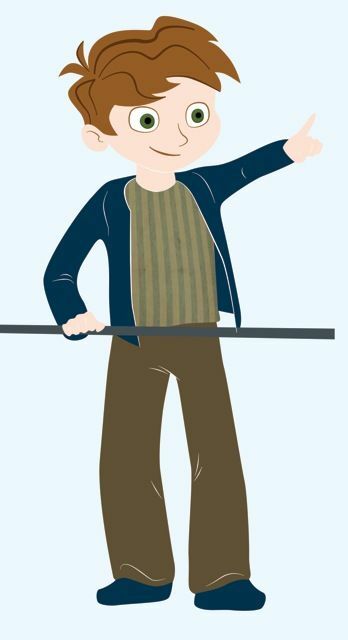 From Head to Toe from AIMS Education Foundation is affordable, reusable, and easy to implement. I suggest you check out what the other Crew families had to say about it and see if it is right for your homeschool! Disclaimer: As a member of the TOS Crew, I received this product, at no cost to me, in exchange for my honest review. WORLD Magazine, known by many to be the foremost conservative Christian news magazine, both online and in print, is branching out! They have taken what they do best—write—and have built upon it in a brand new curriculum aptly titled, Write with WORLD. Designed for middle school students, grades 6-9, this full year curriculum set comes with a teacher book and a student book. The HomeschoolCrew reviewed the pilot program that only included the books, but come September, all future programs will include Learn with WORLD website access. It will also be the place where selected student writing will be published based on submissions we receive during the year. We'll provide instructions on the website for how to submit student writing for review. And, it will provide a forum for homeschoolers and teachers using the curriculum so they'll have a place to network and discuss, as well as a means to provide feedback to us. And that is all without the books! Let’s talk about those. Written in a Unit/Lesson/Capsule format, we begin with Unit 1, Lesson 1, Capsule 1. There are multiple Lessons within each Unit and multiple Capsules within each Lesson. My student completes a capsule each time he writes. Unit 1 starts the student off with a focus on images. Our society is pretty inundated with images and this entire unit helps the student to evaluate them and think through what they are seeing--in written format. This is one of the goals of this curriculum—helping students think about what they see, read, and in turn, what they write. * Students belong to a community of writers and have an audience. * Students see the curriculum as a living, up-to-date conversation. * Students have access to multiple assignments to choose from in many lessons. * Students who learn to read with critical eyes are more likely to become strong writers. * Students will examine models—both strong and weak—to improve their writing. * Students learn style in the context of their own writing. * Students learn to write with a worldview. * Writing teachers need ideas and support. By using a journaling method, your student will build upon what they are learning slowly, so writing is not a scary thing to those students that might have a fear or distaste of it. 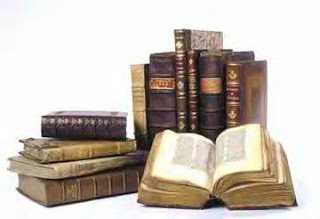 It is a fascinating and profitable way to learn. My son is not hesitant to write (well, any more than a normal 13 year-old boy is anyway!) and his sentences have more form and style. He is not doubtful of his own ability as the expectations of the assignments are clearly indicated. He actually said he would recommend this curriculum to his friends. Writing can be an intimidating thing and Write with WORLD makes it much less so. Created by “…nationally recognized journalists and writers, award-winning college professors, and the resources of God’s World News and WORLD Magazine…” this is a prime curriculum for homeschool families that want to give their student access to these kinds of people to help their child learn to write. The price for a student book, teacher book, and annual web access is $95 per year or $165 if you purchase both year one and two together. This would be four books and two years of web access. I encourage you to check out their website. Look at the sample lessons online, and see if this sounds like it would work for your students. I am thrilled it is working for mine! You can also see what the other members of the TOS Homeschool Crew had to say about it here. A grotto is defined as a cavern, cavity, chamber, den, hollow, rock shelter, subterranean, or underground chamber. 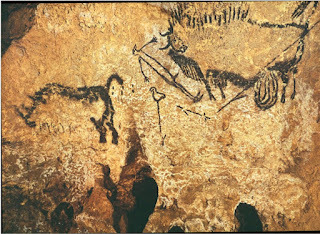 Today, in our Blogging Through the Alphabet post, I am going to share about most recent art history lesson on the most wonderful cave art you have ever seen. This was my last Fine Arts Co-op presentation. I hope you enjoy it here. I loved putting it together. Did you ever wonder when art began? Who were the first artists? We know from Scripture that Jubal was the father of all those who play the lyre and pipe. That was the beginning of music. We know that Tubal-cain was a forger of all instruments of bronze and iron. That was the beginning of all sorts of metal working and maybe art, but the Bible doesn’t say that specifically. 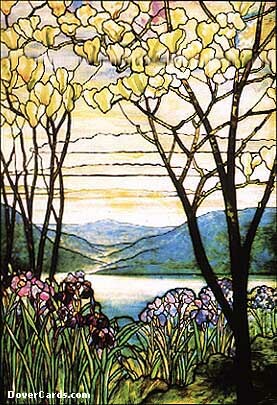 But, we do know that God values a craftsman that makes beautiful things because He calls some of us to that calling. 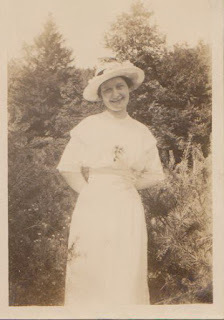 Not too long ago, our family learned about a relatively obscure biblical craftsman, or artist as we might call him today. His name was Bezalel. Now he was not the first artist, but he was one the Lord chose for the building and beautifying of His house, the Temple. The Lord said to Moses, “See, I have called by name Bezalel the son of Uri, son of Hur, of the tribe of Judah, and I have filled him with the Spirit of God, with ability and intelligence, with knowledge and all craftsmanship, to devise artistic designs, to work in gold, silver, and bronze, in cutting stones for setting, and in carving wood, to work in every craft. ” I think it is good, and important, to note that God gifts some of us with these special gifts and that we as His people, can enjoy the fruits of these artists’ labors. The worshipers at the Temple surely enjoyed the craftsmanship of Bezalel. We don’t know who the very first artist was, but we know of some very ancient artwork. Today we are going to take a look at some of it. Maybe these people knew of the saving work of God. Maybe they sat around their campfires and talked of His salvation amongst themselves. Maybe even their grandparents knew those that went through the flood. It is something to think about as you look at these paintings. 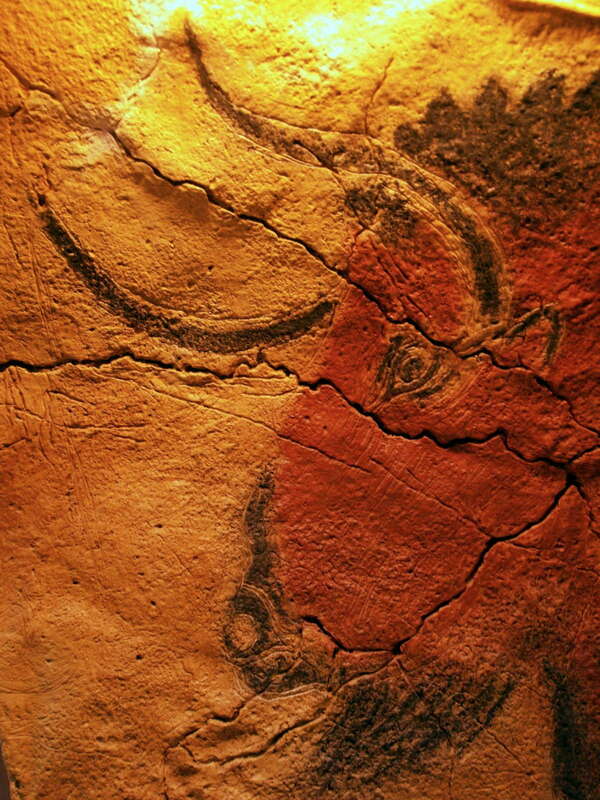 The Cave at Altamira in Northern Spain gives us some clues about the beginnings of art. It's clear that man has been making art for thousands of years. The story of the discover of the Cave at Altamira has become a legend. Read about that here. Here is one of the bison close up. 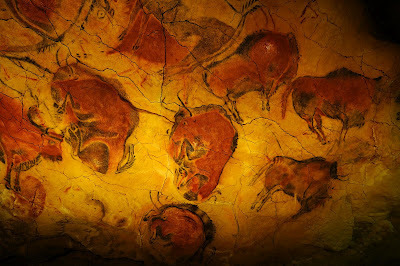 On the ceiling of the cave were painted groups of animals in shades of black, brown, red, and yellow. There were bison, deer, horses, and wild boar. The outcroppings of the rock had been skillfully used to give the paintings depth and dimension. Some of the animals were life-size. All were amazingly realistic. Prehistoric man? I don't think so, do you? There are scientists that would say the artwork on these walls is 15,000 years old, but the dating methods they use are based on their belief that the earth did not go through a catastrophic global flood. I believe that Scripture teaches a global flood, and I believe that the evidence in the natural world supports this. The Stone Age is also called the Paleolithic period in history. Most Paleolithic people were hunters and gatherers, lived in caves and temporary shelters, made stone tools, and used fire to keep warm and cook food. These people are sometimes called the first modern humans. They are also called Cro-Magnons, after the rock formation where their tools were first discovered. These people had no written language or alphabet, but as Altamira proves, they could communicate through paintings. Now to me, those paintings don't look like they are from the "first modern humans" as if they have no skills or abilities. I completely disagree with this! The creative minds that made this beautiful artwork were made in the image of God. This is such a beautiful personal part of this ancient artwork to me. Have you ever put your hand in paint or mud or even just water and made a mark on the sidewalk or on the side of your house? 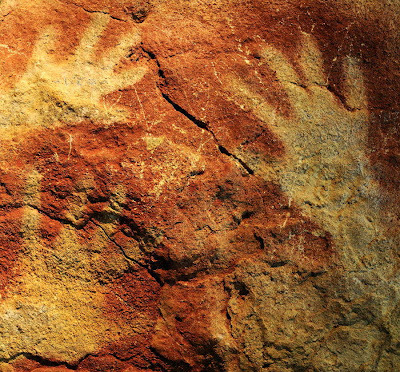 Handprints were created by blowing ochre mixed with water over a hand, leading to the effect shown here. What does it feel like to see this? Were these people all that different from us you think? Did they do this to leave their mark on the wall to be remembered? I wonder who they were. The mysterious painting, Bird Hunted Man, of the man, the bison, the spear or assegi, and the rhinoceros turning away has stumped art scholars for many years. Many theories about the meaning of the painting have been suggested. One really interesting and mysterious thing to consider is the location of the painting. It is not in the main galleries, but well hidden, in a very hard-to-reach place. This cave, called the well, could only be reached by climbing down a narrow shaft. Why is this painting hidden in such a heart-to-reach place? What makes this secret location significant? There are other mysteries as well. Why does the man have a bird face? The bison is wounded and appears to be ready to charge. Or, perhaps he has just charged. The man has fallen. Is he dead? On top of the spear is a bird. This painting, unlike the others, seems composed as a story that has a beginning, middle, and end. But what does it mean? No one is sure. One theory is that the picture is symbolic, representing a death scene. 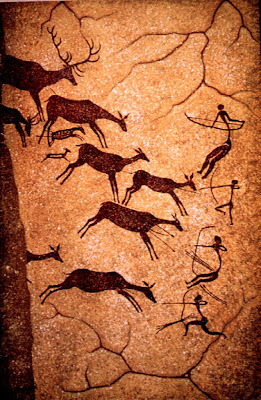 To be killed while hunting was a common event for these Stone Age people who did not have guns or sophisticated weapons. Other experts believe that their painting is part of some ancient ritual - possibly a ceremony to insure good hunting. The secret location of the painting would support this idea of a secret ceremony. As for the significance of the painting, there is no doubt it was important to the artists who created it. I like the mystery here. I wonder what it really is. So, cavemen. What about them? Were they what we think of when we think of them at all? Let’s talk about the dates the historians are giving this cave and what they are saying about these artists. 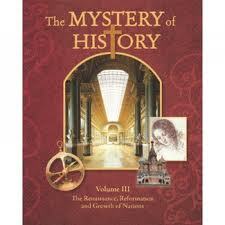 Some historians give is a date of 30,000 years ago and some say it is "only" 17,000. 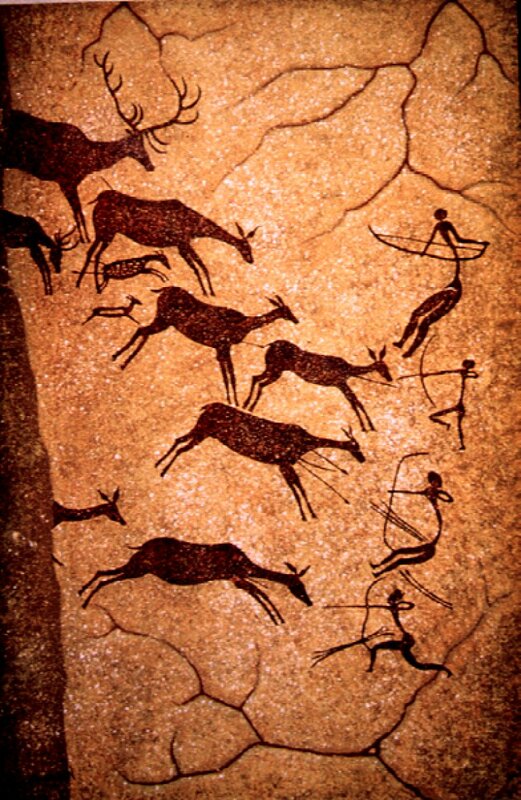 Though people who live in caves around the time this artwork was created (like those depicted in the book I mention above) are usually considered prehistoric, or before the period of written records, we know this isn’t true from Scripture. Since the sixth day of creation, man has existed with animals. In spite of all that archaeologists and anthropologists contend about these early Stone Age cultures and their long ages, it simply cannot be true that they were unskilled and incapable. Why? Because the Bible speaks of the very earliest cultures as being highly civilized, with musical instruments, woven tents and clothes, metal working, animal husbandry, etc. (Genesis 4:3–4, 17–22). The fact that we find people in the very earliest times living in caves simply means that they lived in caves instead of houses. We find people around the world doing this very thing today. For instance, some families living along a 40 mile stretch of the Rhone River in France dwell in the caves that are situated there. 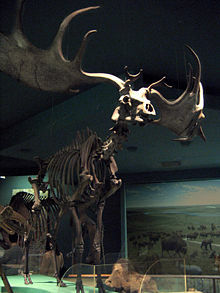 This is a Megaloceros skeleton at the Museum of Natural History in Washington DC. 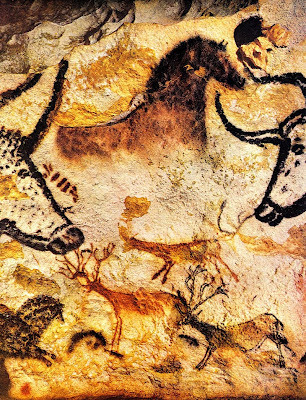 This is one on the walls of Lascaux. I love it. Do you think it is interesting that the artist chose not to draw the whole animal? What does that say about your own artwork? Does everything have to be completed when you draw, paint, or sketch? What do you think of the antlers? My children thought they looked like fingers and I thought this looked like a Dr. Seuss character a little bit. Maybe he was inspired by Lascaux! Since there are over 2,000 figures on these walls, they caves must be pretty big. I wonder how many years it took for the people to fill it. I wonder too, whether there was a special reason they did it. Don’t you? This last link is the official Lascaux site. It is in French so it is a bit hard to navigate at first, but I found a full tour of the caves on this site and it is wonderful. Enjoy your study of ancient cultures and their art and remember too that these were skilled and talented people. We have much to learn from them. What I'm thinking: How very grateful I am for my two incredible team mates that make my Crew life so complete. Thank you, Debra, and Marcy, for being who you are. Jesus lives in you both. What I'm reading: I am reading a really neat novel. I love World War II novels and there is a lot of rich history interwoven in this one. It is called The Swiss Courier: A Novel and I am enjoying it quite a bit. What are you reading? Share in the comments! What we're learning: Today, we learned what teeth look like after years of braces. This is the beautiful glorious result of years of work and a really wonderful dentist. I am so proud of my girl for doing what needed to be done. Her smile here is genuine and beautiful. :) God is so good! What's cooking: I have been making some pretty good turkey burgers. I don't know that I could believe that I would ever put "good" and "turkey burgers" in the same sentence, but I have been managing it! We mix a few founds of turkey with 2 T of Bragg's Liquid Aminos, a 1/4 cup of onion flakes, and a good dousing of garlic powder. Mix well, bake at 400 for 30 minutes or so, and eat! They are quite delicious. Who knew? What I'm buying: A Kindle Touch. Probably tonight. It is for the kiddos schooling to use with our new resources from Heritage History. There are some really neat things at this site, folks. Check it out. What I'm creating: I am hosting our very last art history co-op on Wednesday and I spent literally all day Saturday preparing for the day by creating my last official art history presentation. I will share it here after I have done it in person. I am so happy with what the Lord brought about. It was He that did it, and may He be glorified. What I'm praying: For the future that God has planned. I am so grateful for the hand of the Lord in my life. I would not walk this life without Him. 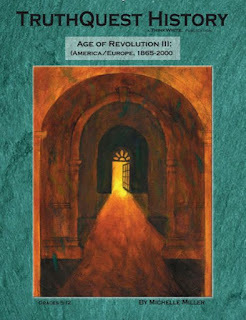 What I'm planning: Next year's history co-op. There is so much to cover in the last hundred years of history, isn't there?? I have so many wonderful resources at my fingertips. I can't wait to get there, but I don't want to rush where we are either! What I'm looking forward to: We are going to visit my aunt and uncle in Isleton tomorrow. Can't wait! We will come back tired, but so happy to have gone. :) It will be our new dog's first foray into open space and water. Should prove interesting and fun for all! A picture to share: For those of you that saw my mention of ladybugs on Facebook, here is the picture we took of the ladybug and her eggs. They were so tiny! Click to see it larger. I hope you have a beautiful God-glorifying week. I am grateful you are reading!